Users can now benefit from endless instruments whenever they need a professional portfolio, a web store or a corporate site. Despite the type and purposes, website builders have proved to be the easiest and fastest option on the way to a solid web representation. While online builders are growing popular, offline website software keeps staying in the shadow for a while. We decided to highlight some of the major offline website building platforms and compare them with a leading online service. The first thing we need to do is to figure out what an offline builder actually is. What misses and hits might the offline software have? An offline website builder is a set of downloadable software elements. Every time a user needs to build a site, he or she has to download and install those pieces onto a computer. Unlike online platforms, you do not require an internet connection to edit your website. This fact ensures higher security and some decent backup degree. On the other hand, your PC is the only way to access the builder. You will not be able to outsource the work on the website or edit it remotely. Install the website platform on your laptop or PC or Mac. Choose from the list of templates or design your own. Although some offline platforms still have a drag-and-drop feature, they are pretty complicated. It will take some time for beginners to keep up with all the functions and features. Moreover, using an offline builder requires advanced hardware, a separate hosting, and regular update downloads. We have reviewed some of the top offline website builders to define the best-matching variant for beginners and professional web designers. Although Wix is an online builder, it is actually a hosted program. The only difference between offline software is that you do not have to download program files and look for a place to host them. You get an all-in-one solution with files already hosted and all changes saved in real time. The platform has proved to be equally good for different purposes. It lets beginners easily come up with a solid web store, a professional looking portfolio or a capturing business website within a couple of hours. The software boasts its advanced online editor to customize the site pages with just one click. Wix Mobile Editor – you can now check how your website will look like on a mobile device before publishing it. The tool lets you edit various blocks and sections without affecting the web version of the original website. 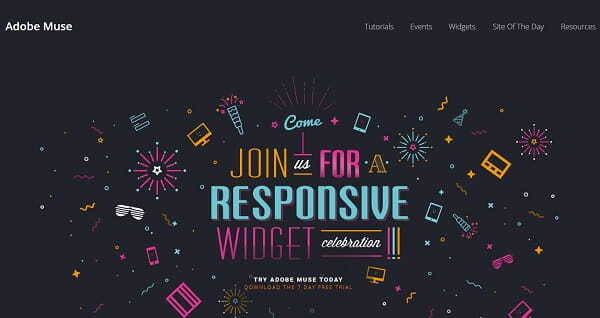 Moreover, Wix comes as an all-in-one platform. It means that you do not have to think of where to host your website or register a domain name. The system is advanced enough to let you cope with different projects despite their complexity. You will hardly ever need the assistance of third-party developers or programmers. The release of Mobirise appeared to be a revolutionary step, as it boasts some core differences if compared with its contemporaries. First of all, it is a responsive free offline software. It means that you will need to download and install it. Otherwise, you will not be able to launch the website building process. It is very simple to use. AMP Website Builder – Choose from an array of AMP templates to create an online business card, portfolio or blog. AMP templates are the best bet to represent and promote your business/services on mobile devices. Users may choose a place to host their Mobirise websites. It can be your Google Cloud, local drive or even Github. The features certainly add some flexibility. Another good advantage about the software is the fact that it is free to use whether your website is going to serve commercial or non-profitable purposes. However, Mobirise does not provide hosting, which means you will have to pay for it and maintain by yourself. In addition, you should be ready to pay for any further advance or extension for your website. On the other hand, users may opt for Github Pages as a free web hosting alternative. Developed for professional web designers, Adobe Muse software is aimed at putting ease on the process of collaboration between designers and programmers. The program is to let designers express their creativity at full swing without hiring third-party coders. The main mission of the software is to let users come up with static websites that are mainly focused around design. The platform delivers a bunch of handy features to build sites that stand out from competitors due to capturing appearance and stunning look. Code Editing Option – if you are still on for coding, the program lets you Edit its CSS code to customize the website. Adobe Muse is a good software for web designers looking for a set of professional tools. It comes with a wide array of designing features and toolkits. On the other hand, it is hardly a good choice for newbies. The program will be too complicated for beginners. Website Builders: Going Offline or Online? The main idea of any website builder is to make the building process easier. No matter if you are a professional web designer or a beginner trying to open your first ever digital store, such software should come as a helper to cope with web projects of different complexity. On the other hand, choosing the right platform is vital. It will define the future success of the website. For this reason, we decided to compare offline and online programs as well as highlight their fundamental hits and misses. And you are the one to choose, which of them suits you best. Designed as a downloaded software, offline website builders still come with enough flexibility. On the other hand, they have core misses that will keep them behind the online software at least for now. The need for powerful hardware. Created to build a website of any type with just a couple of hours, online website building software is perfect for newbies with no coding skills. It offers a high level of flexibility in addition to features that let users promote their websites online. Fewer opportunities to work with CSS code. The array of website building software is impressive. Users can choose from various options to meet their expectations. All you need is to define the website goals, complexity, structure, type of content and some other crucial features before getting started. Both online and offline programs have proved to be efficient when building a solid website. However, online software appeared to be a better choice for those who look for a simpler and more cost-effective solution. They offer easier ways to build a new store or portfolio from scratch and publish it with no coding skills at all. They are cheaper and easier to use. On the other hand, professional web designers may prefer offline programs with a wide option of customizing opportunities.